Everything in your closet, or dresser, should be ready to wear. While turning and pairing clean socks, I remembered reading this as a teen, in one of the several books I studied on fashion and style. Yes, I taught myself nearly everything from the printed word, though in hindsight there was more than a little family priming. 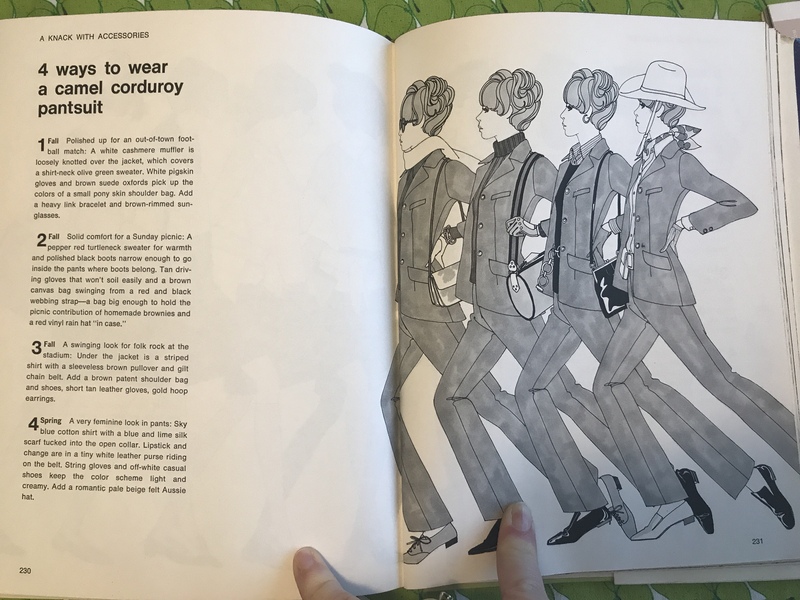 I thought I saw the advice in my most formative volume, The Seventeen Book of Fashion and Beauty (1967), available from my neighborhood library and already extremely dated when I studied it in the early 80s. But I looked in the copy I recently bought myself, and it’s not there.